If you said “evolution,” yes, you’re on the right track. But how this kind of evolution actually happens was once a lively topic of debate. The classic giraffe question comes from a French zoologist who, eight years before the birth of Charles Darwin, offered a revolutionary take on the evolution of animals and laid the groundwork for our modern day understanding of evolution. His name was Jean-Baptiste Lamarck. In 1801, Jean-Baptiste Lamarck gave a lecture to a class of students about the diversity of life on Earth. In his talk, Lamarck explained his belief that all organisms came from a rudimentary state of being which was far less complex than what we see today. While it wasn’t the first mention of evolution in history, Lamarck did have a unique spin on how that evolution took place. By examining different animals and plant life, Lamarck had come to the conclusion that animals evolved new traits to help them live in their unique environments. To our modern ears, this may sound like an obvious observation. But during Lamarck’s time, the idea that an individual’s environment could affect the evolution of new traits was new. 58 years after Lamarck gave his lecture, Charles Darwin published his seminal book On the Origins of Species, which expanded on this concept by detailing numerous examples where animals appeared to adapt to their environment through the evolution of new traits. These two scientists, one a botanist and one a zoologist, helped change our understanding of how life develops. Although they shared very similar views on evolution, Lamarck and Darwin are often discussed because of the differences in their theories. In contrast, Darwin believed in the theory of evolution through natural selection. Darwin proposed that new traits were developed through random chance, and that if these traits helped an animal by increasing its ability to reproduce, then the trait would be passed onto the offspring. In terms of the giraffe example, Darwin’s theory of evolution through natural selection would suggest that a giraffe was born with a longer neck by random chance. Because this individual had a longer neck, it was able to reach food sources that other animals couldn’t. Having access to more food allowed the giraffe to live longer and reproduce more, ultimately leading to more long-neck giraffes. 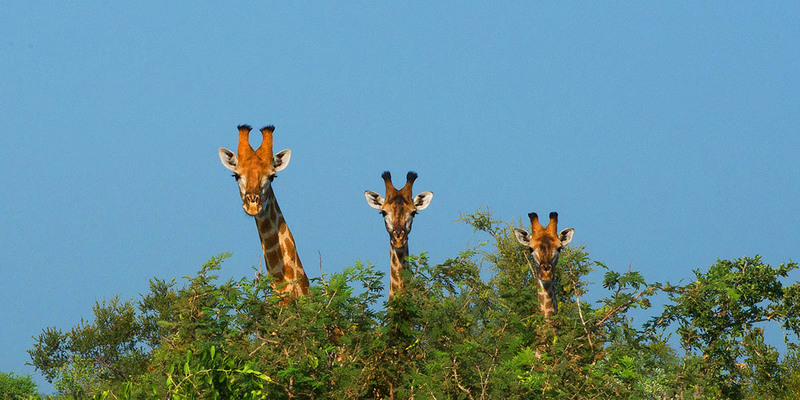 Successive generations of this continued to favor individuals who were born with longer and longer necks, which eventually lead to the giraffes we know today. Was Lamarck actually on to something? Lamarck and Darwin both believed in acquired inheritance, but Darwin added an additional mechanism of evolution by suggesting his theory of natural selection. During their time, neither Darwin nor Lamarck knew about DNA, which made it difficult for them to properly describe inheritance. In modern times, large scale studies have allowed us to study genetics and the ways in which physical (and some non-physical) traits are passed down through generations. From these studies, we’ve learned that Darwin’s theory of evolution through natural selection was closer to reality. That’s not the end of the story, though! Recent studies suggest that Lamarck may not have been completely wrong, either. A relatively new field of study within genetics called epigenetics explores changes to the DNA that do not affect the DNA sequence, but can affect how DNA is used by the body. DNA is often called “the book of you,” wherein the sequence of DNA spells out instructions for how to build proteins, and ultimately how to build a human. In this analogy, epigenetics would be the equivalent of text formatting in this book—italics, bolding, and so on. Some evidence suggests that epigenetic marks can be added to the DNA in response to lived experiences (such as famine1, lead exposure2, and stress3,4) which change the way the DNA is read. These marks may be passed onto future children, and current studies are researching what traits are influenced by inherited epigenetic marks1. In other words, Lamarck may have been partially correct—some lived experiences might be stored and passed on through our genetic code. 2Sen, Arko et al. “Multigenerational Epigenetic Inheritance in Humans: DNA Methylation Changes Associated with Maternal Exposure to Lead Can Be Transmitted to the Grandchildren.” Scientific Reports 5 (2015): 14466. PMC. Web. 16 Jan. 2018. 3Dominguez-Salas, Paula et al. “Maternal Nutritional Status, C1 Metabolism and Offspring DNA Methylation: A Review of Current Evidence in Human Subjects.” The Proceedings of the Nutrition Society 71.1 (2012): 154–165. PMC. Web. 16 Jan. 2018. 4Serpeloni, F et al. “Grandmaternal Stress during Pregnancy and DNA Methylation of the Third Generation: An Epigenome-Wide Association Study.” Translational Psychiatry 7.8 (2017): e1202–. PMC. Web. 16 Jan. 2018.